Wow! This showstopper exemplifies true pride of ownership. With Desert Island you're not just leasing a home, equally as important, a lifestyle. 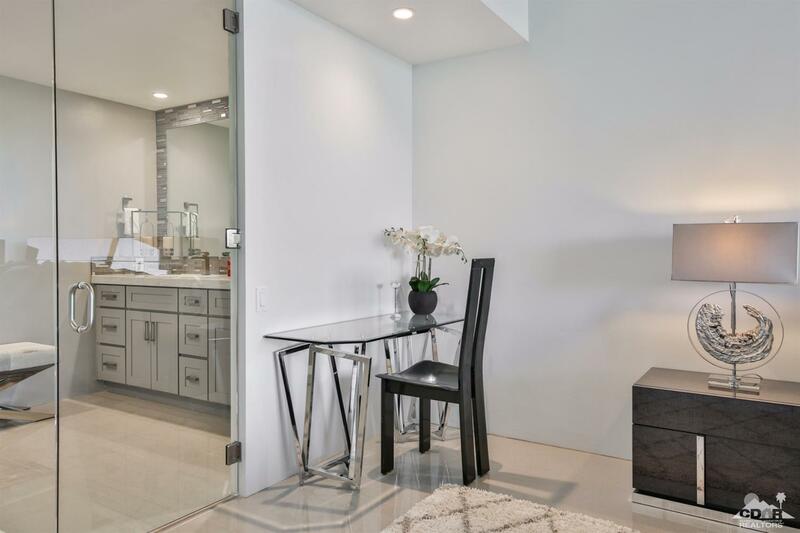 This beautiful remodeled condo has two bedrooms, two baths and exudes class and elegance. There are just too many features to mention, but to name a few; inviting open floor plan, neutral wall and floor coloring - truly an entertainer's delight, quality spacious kitchen with wrap around bar/counter tops, stainless steel appliances, new furnishings, some from Scandinavian Design, luxurious master bathroom with oversized shower, dual vanities, flat screen Tv, stunning views from both bedrooms, and a wall of glass in the living/dining/kitchen area that opens up to the balcony/patio ideal setting for inhaling the Desert beauty all around, or dining by candlelight. Owners say sqft is actually closer to 2000 since the remodel.